This guitarist has trained for three years in France with Roberto AUSSEL & Javier HINOJOSA and has participated in several Seminars and training courses in Argentina and abroad. He was selected one of the finalists for the International Scholarship Kate Neal Kinley Memorial and obtained a distinction in the U.F.A.M. Contest in Paris and got later a scholarship for two years granted by the International Cooperation Secretary from the Ministry of Culture and Education. He ended up his studies with 4 Golden Medals. He has worked as a soloist and with different Chamber Music Groups all over the country and gave concerts and auditions in Illinois, Köln, Nice, Paris & London. In 2002 he edited his first CD with works from Hans Werner Henze, Torû Takemitsu, Leo Brouwer, Fernando Schulmeier and Juan Pablo Simoniello. 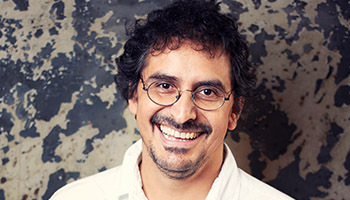 In 2004, he has begun with the edition from his second CD in La Habana, Cuba with works from Eduardo Martín and invited as the guitarist of the “Companía Oblícua” (Contemporary Music Ensemble), invited to work in 2005 at the Residencies Project in the Experimental Center (Colon Theater – Buenos Aires). With them have recently opened a first Cd “Latitud Sur”. He participated as performer and member of the International jury of the “III and IV International Festival Cochabamba – (Bolivia)” in 2004 and 2005 and to open the “XI Festival Guitars of the World” 2005 and 2007 in Argentina, where he performed the premier of “Acrilicos en la Sonrisa”, his second CD. In 2006 was selected to representing Argentine at the International Guitar Festival Bolivar Hall in Londonwith the generous support of the Argentinean Council and gave concerts and Masterclasses in the “Xème Rencontres de la Guitare Classique” (Nice-France). He currently teaches in different points of Argentine invited to give conferences, Masterclasses and concerts. Since 2010 he teaches in France at the Conservatoire de Musique et de Danse de la Ville de Saint-Louis and the Conservatoire à Rayonnement Départamental de Colmar. In 2007 edited two chamber music CD´s: “Kammermusik” (containing works from Takemitsu, Reich, Henze, Berio and Franciosi) and “Interludio” with the Whales’ guitarist Adam Khan (this work was opened in March 2008 at the “IX ICPNA Festival of Classical Guitar – Lima » (Perú) and a 2nd. CD, « Voyage to Patagonia » was opened lately (UK tournée). His last CD/EP was dedicated to Steve Reich’s masterpiece: « Electric Counterpoint » (available on CDBaby).